Railpictures.ca - Craig Allen Photo: CN 7304 is seen working Parkdale Yard in Hamilton with Dofasco Central Shipping in the background. | Railpictures.ca – Canadian Railway Photography – photographie ferroviaire Canadienne. 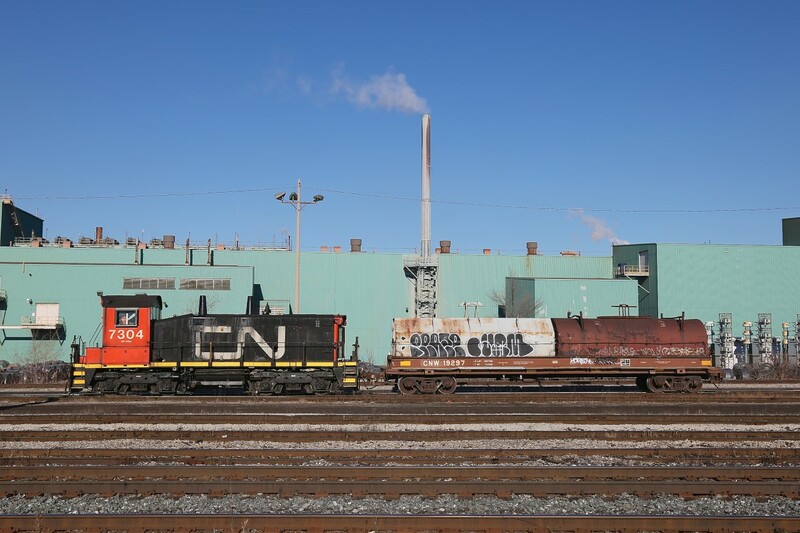 Caption: CN 7304 is seen working Parkdale Yard in Hamilton with Dofasco Central Shipping in the background.